Anyone with a brother or sister doesn’t need a national holiday to remind them how special bonds between siblings can be, but in recognition of National Sibling Day we bring you another in a long list of stories of siblings who found each other through 23andMe. Tricia had a few details, but never enough to find her father. John and Charlene, her brother and sister, never knew Tricia even existed. Apparently neither did their dad. It wasn’t until Tricia tested with 23andMe that they found each other and learned that they were all related. Trish, center, and her brother John and sister Charlene. Tricia first started searching for information about her biological parents more than a decade ago. With the help of her adopted brother, Tricia had tracked down the name of her biological mother, who’d passed away. She was also able to find the town where her mother had lived, even the old school she attended. When she visited the old school building she saw for the first time a photo of her biological mother hanging on the wall. It was a striking moment for her to see some of herself reflected in the face of a person she’d never met. “That was a kick in the pants,” Tricia said. 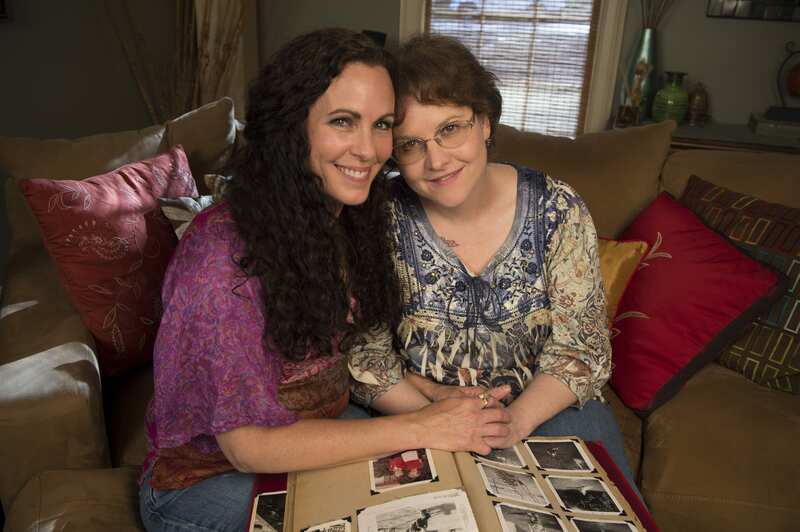 “To see her face and that ‘Oh yeah, I got all things from her.’” Later she tracked down her biological mother’s sister, who helped her cobble together a few more details around her birth. Her aunt told her that her parents were college students, when she was conceived. Her mom at Oregon State University, and her dad was a basketball star at a nearby college. “In my head I thought maybe it was one of those spring break flings,” Tricia said. According to her aunt, once the family learned of the pregnancy they took her mom out of school. The family moved to another town, and Tricia was put up for adoption and given to a new family on Christmas Day in 1957 a few days after her birth. Those were all details Tricia had never had before. She learned a little about her mother, saw some more photos and learned that she had Irish and Norwegian ancestry. But in all those details there was nothing about her father. And she left it at that, until she tested with 23andMe in late 2013. Tricia said she signed up for 23andMe to find out a little bit more about where in Europe her ancestors came from. “I was tickled to find out how much Cro-magnon (Neanderthal) I was,” she said. But a match with a first cousin named Randy was a total surprise, she said. “I did not expect that,” Tricia said. She and Randy began exchanging messages and Tricia’s surprises kept coming. He wanted to figure out how they were related and began asking her about her background. Tricia told him what little she knew. A few of those details stuck out, basketball, a small college town in Oregon and the date of her birth. Randy connected the dots. “I think my Uncle Ralph was your dad,” he said. Tricia was stunned. Randy explained that his uncle had died a few years ago, but he added a happy surprise. Ralph had two children, a son and a daughter. Tricia had a brother and a sister. She didn’t know what to say. 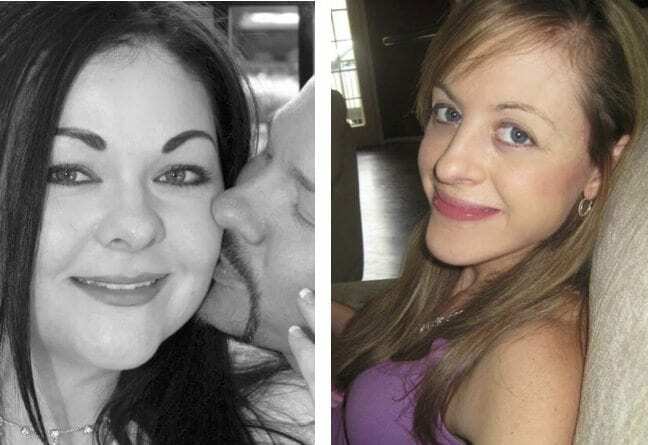 In Texas, a woman Tricia had never met soon got a surprise of her own. When Charlene’s cousin Randy called, he started the conversation by asking if she was sitting down. “My first thought naturally was, “Who died?” Charlene said. 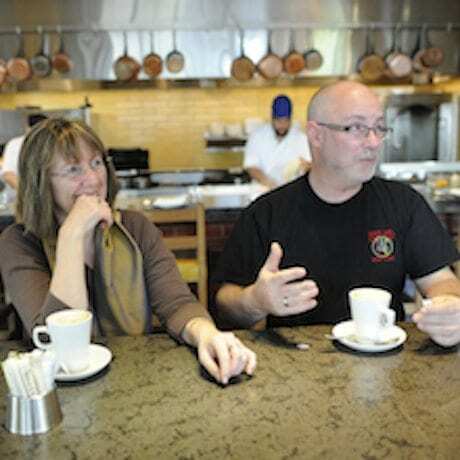 Randy quickly explained that he’d tested with 23andMe, gave her a short description of DNA testing for ancestry and said he told Charlene that when he tested he’d connected not just to third and fourth cousins but to a single first cousin, who he didn’t know. He tried to explain how overlapping genetic segments are used to calculate “relatedness.” That the closer a relation the longer the overlapping segments. Charlene wasn’t following all of what he was saying until he got to the punch line. You’ve got an older sister Charlene, he told her. She said she was thankful that she was sitting down. Charlene then talked to her brother. Randy helped connect them to Tricia and after exchanging messages, photos and family details, it was clear that they were indeed siblings. “I’d always wanted a sister,” Charlene said. 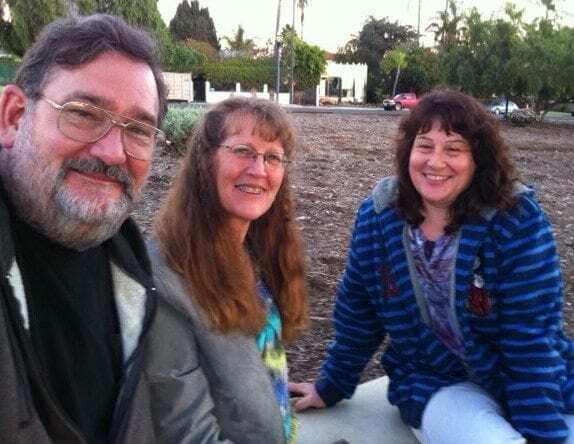 Around Christmas time 2013 Tricia flew to San Diego where her half brother lived and her biological father was buried. She met him and Charlene. They spent the holidays together. They visited their father’s grave. They bonded. They learned of some uncanny shared family traits – an interest in painting, the sea and oddly dragonflies. For Tricia the connection to family couldn’t have happened at a better time. Over the last few years she’d endured some difficult health problems and a divorce. Now she feels blessed and finds herself, “smiling like a Cheshire cat all day long.” She recently spent a week in Texas with Charlene and her family. “Life is good thanks to 23andMe,” she said.